I graduated from the Ontario Veterinary College in 2016. I grew up horseback riding and always thought I would work with horses - that is until my childhood dog was diagnosed with diabetes and treating her really piqued my interest in small animal medicine. 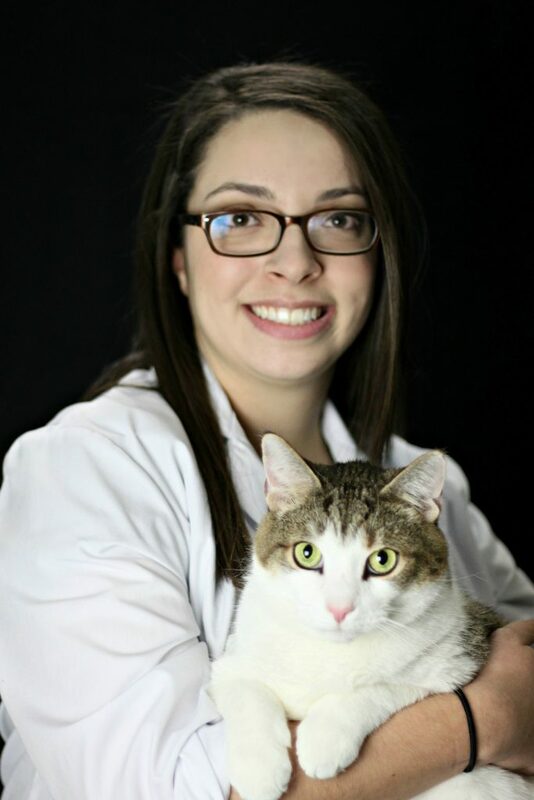 I started working at West Hill Animal Clinic as an assistant and receptionist in 2011, so it felt like returning home to be back again as a veterinarian, rejoining the amazing team in 2017. Areas that interest me the most are ultrasound, parasitology and surgery. My favourite thing about the clinic is the very knowledgeable and close-knit team of people. My first pet was Holly, a Bichon Frise. What I love most about my job is that it never gets boring, there is always something new to learn and new pets and owners to meet! A fun fact about me is that I am always looking for a good adrenaline rush! So far, I have been bungee jumping, skydiving and cage diving with great white sharks. I also enjoy bird watching and cuddling with my cats, Levi and Chandler.